If you're anything like me, when there's a lot going on, you can reach info overload fast. For me, it's when I have so many things to remember, that nothing sticks! Well, there is SO MUCH goodness going on in October, that I thought I'd give you a quick reminder of the fun stuff to check out. Just to jog those memories! First up, Is the Make Your Mark Promotion. 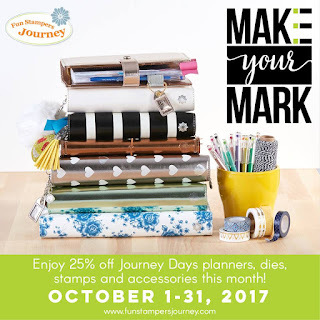 All planners, dies, planner stamps, and accessories are on special this month for 25% off. 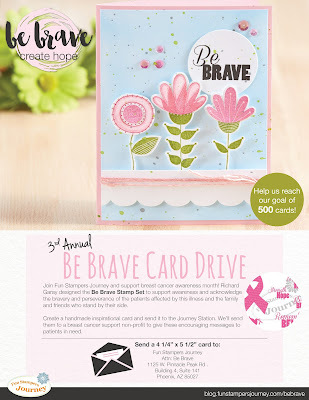 The next item is the Be Brave Card Drive. 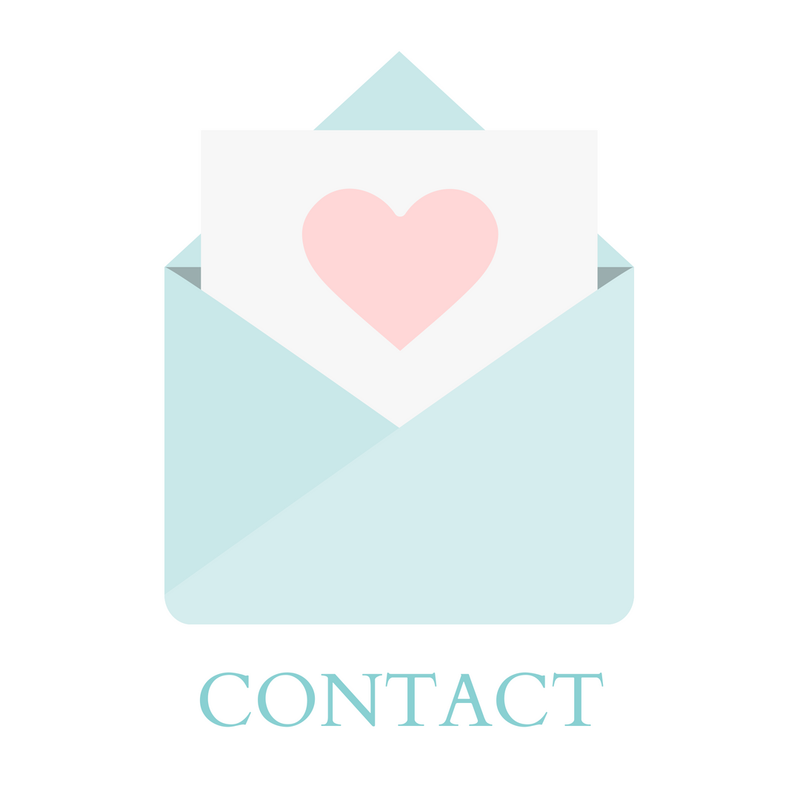 I'd like to encourage you to send in a couple of uplifting cards (it doesn't matter the brand of stamps you use, just make sure it's an A2 sized card), with a generic message of love & support. 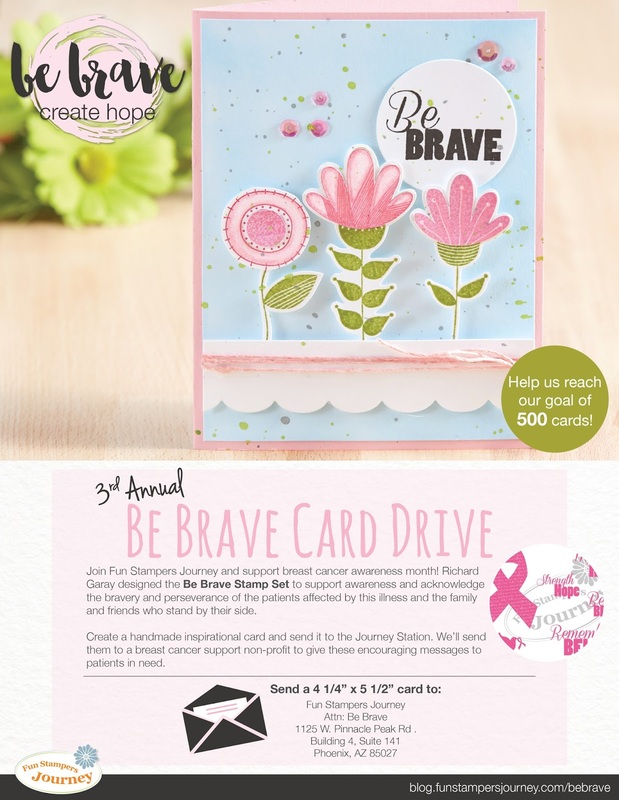 These cards will be sent to a non-profit organization that will redistribute them to breast cancer patients in a variety of facilities, and the families of patients. Please click on the flyer below to get the mailing address. In October and November, there is also a special promotion going on for those who'd like to join the Journey. 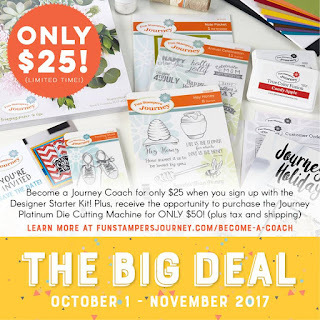 You are able to sign up to become a Journey Coach for only $25 (click here to see why I became a Journey Coach). Once you are signed up, you then have an opportunity to earn our Platinum Die Cutting machine (a $249.95 retail value) for only $50 plus tax and shipping. And the platinum machine can be earned regardless of which starter kit you choose! 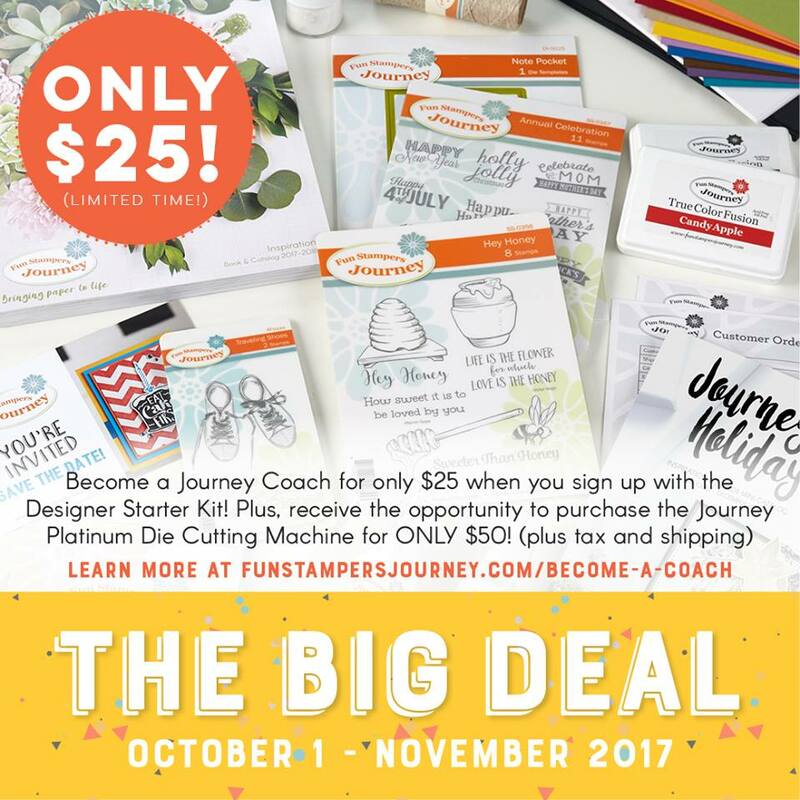 If you are ready to Join the Journey - as a business builder, or a hobby coach - I would love to have you on my team! 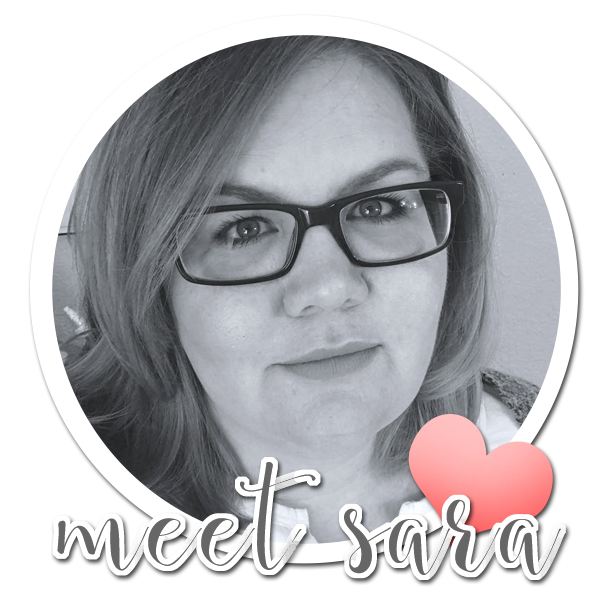 If you are still curious, or have questions, please feel free to contact me (muchlovesara(at)gmail.com), so that I can answer them for you! 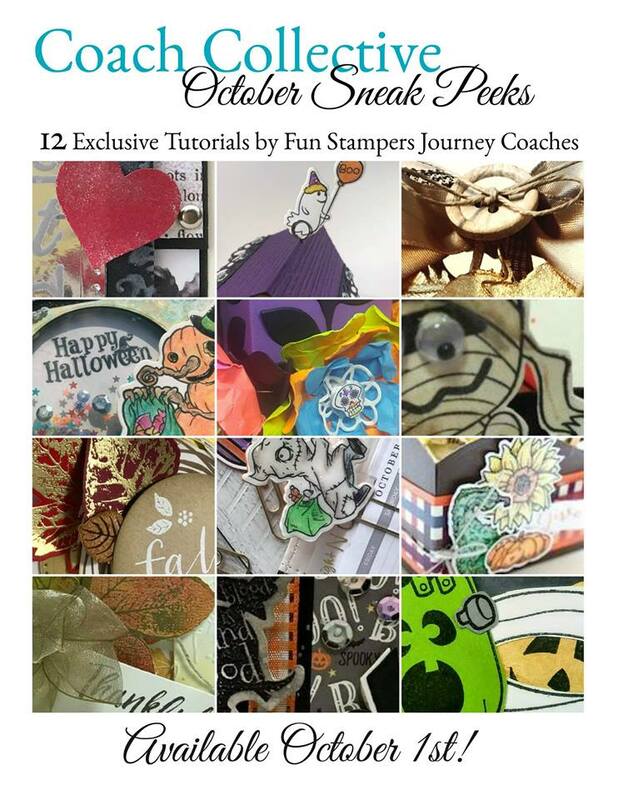 Finally, we're halfway through the month, which means that Coach Collective: October Edition has been out for two weeks already. Have you ordered yours yet? This fun tutorial collection, features a tutorial from each of 12 different, and very talented, Journey Coaches. You get hours of inspiration and step-by-step tutorials to create 12 unique and gorgeous projects. Get your copy today! Whew! That's a lot of stuff - I hope you made it all the way through. Have a fabulous Monday!